Just as Tesla enthusiasts are waiting for the Model X online design studio to become available to non-reservation holders today, Tesla announced that it is recalling the Model X over a weakness in the third-row seat. The automaker says that all vehicles produced before March 26th are affected or about 2,700 units. 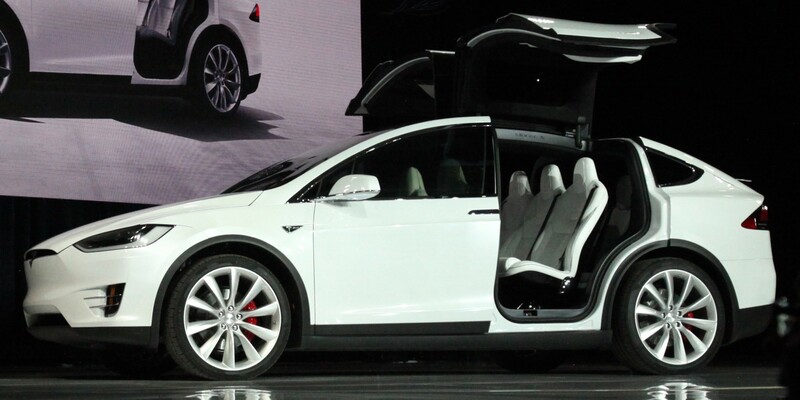 Tesla says that there’s a risk for the third row seat recliner to unlock during a crash. The recall is voluntary and the weakness was found through an “internal seat strength test”. The recall is similar to a Model S recall that happened in 2013 that affected 1237 cars including Seth Weintraub’s. Tesla said in its filing with the NHTSA that it suspected that 20 percent of the 1,228 cars have welds that may not hold in the event of a crash. If the seat becomes unmoored during a crash, there is an increased chance of injury to a passenger. Musk said there have been no customer complaints and Tesla was not aware of any injuries because of the defect. Tesla actually sent a technician out to many of the affected owners who was able to replace the affected part in under an hour. The company first performed the test without failureon the Model X before launching the car in the US last year, but it was testing the system again ahead of the upcoming European launch and the “third row Model X seat unexpectedly slipped”. Problem: Third row recliner’s locking hinge can slip during crash. Fix: Install new third row seat backs with improved recliner design. When: Over the next five weeks. Inconvenience: You can still drive your Model X but Tesla recommends not to have anyone sit in the third row seats. We are emailing to inform you of a proactive action Tesla is taking to ensure your safety as a Model X owner. Tesla’s internally conducted crash testing demonstrates that Model X will be the first SUV to receive the highest safety rating in every category, and we are committed to ensuring that it remains the safest SUV in the world. Recently, during an internal seat strength test that was conducted prior to the start of Model X deliveries in Europe, the recliner in a third row Model X seat unexpectedly slipped. The recliner, which is provided to us by an outside supplier, is the locking hinge that allows the third row seat back to fold forward, and if a recliner were to slip during a crash, the seat back could move forward. Similar testing was conducted before the start of deliveries in North America, with 15 confirmation tests having been conducted without a single recliner failure. Despite these prior successful tests and no reports of a third row seat slipping in any customer vehicles, we have decided to conduct a voluntary recall as a precautionary measure and will be replacing all affected third row seat backs. Our records show that you own a Model X affected by this voluntary recall. We will shortly send you an official recall notice by mail, but we wanted to alert you to this action as soon as possible. A fix to this issue is already in place. We have worked with our supplier to develop a new recliner design with improved quality that resolved the issue. We are now constructing new third row seat backs to match all affected vehicles. Your service center will contact you to schedule the installation of your replacement seat backs as soon as they are available. Based on current production rates, we expect all replacements to be completed on a rolling basis over the next five weeks. We will accelerate this timing if possible. Until the recall is performed, you may make full use of your Model X, although we ask that you temporarily not have anyone sit in the third row seats while the car is in use. We recognize that not having the use of your third row seats for the next few weeks will be an inconvenience, but your safety is our primary concern. We assure you that we are building your new seat backs as fast as we can.